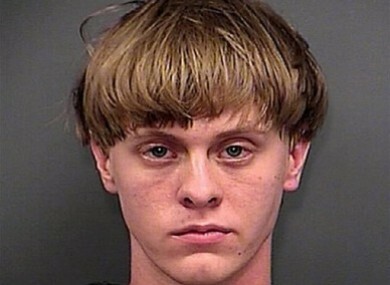 Roof faced either life in prison or execution for the mass shooting in Charleston, South Carolina on 17 June 2015. The Justice Department said he is the first person to get the death penalty for federal hate crimes. Roof was convicted last month of all 33 federal charges against him. During sentencing, he represented himself and told jurors he didn’t have a mental illness. He didn’t offer any remorse or ask that his life be spared. In a lengthy confession, Roof told FBI agents he wanted to bring back segregation or perhaps start a race war with the slayings. Earlier, the jury asked US District Judge Richard Gergel for clarification on some of the mitigating factors they were being asked to consider, including if Roof could safely be confined if he were sentenced to life in prison. Jurors also asked to re-watch a speech by the Reverend Clementa Pinckney, who was one of the nine people Roof killed during the Bible study meeting. Email “White supremacist Dylann Roof sentenced to death for killing nine black churchgoers”. Feedback on “White supremacist Dylann Roof sentenced to death for killing nine black churchgoers”.